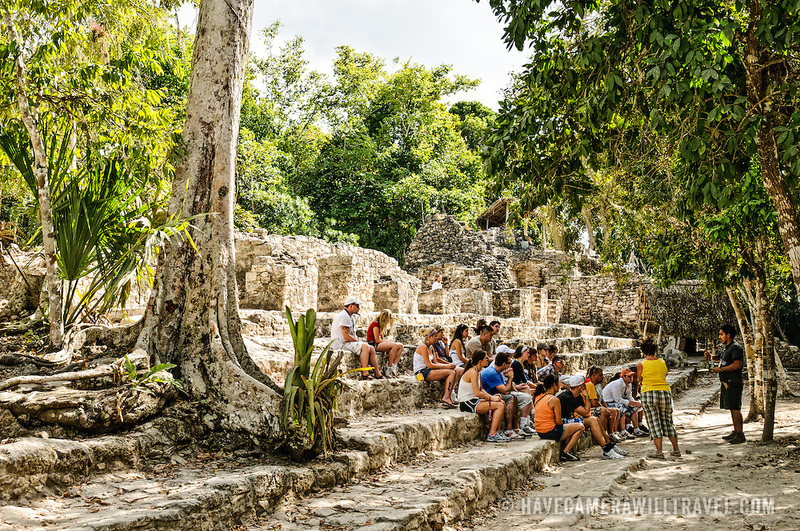 A group of school students listens to a guide while sitting on the lower steps of the temple structure known as La Iglesia at the Mayan site of Coba on Mexico's Yucatan Peninsula. At its height, Coba is estimated to have had about 50,000 inhabitants. at Coba, an expansive Mayan site on Mexico's Yucatan Peninsula not far from the more famous Tulum ruins. Nestled between two lakes, Coba is estimated to have been home to at least 50,000 residents at its pre-Colombian peak.